she raved about how much they help undocumented students. In addition to those resources, they have a great nursing program and the campus is only 30 minutes from our home. No matter what happens, I plan on continuing to volunteer and give back. At university, I plan to join a club that advocates for undocumented students. I hope to help new scholars adjust to their first year at MSU Denver. After graduation, I plan to work in public health or as a school nurse and advocate for preventative health care within the Hispanic community. 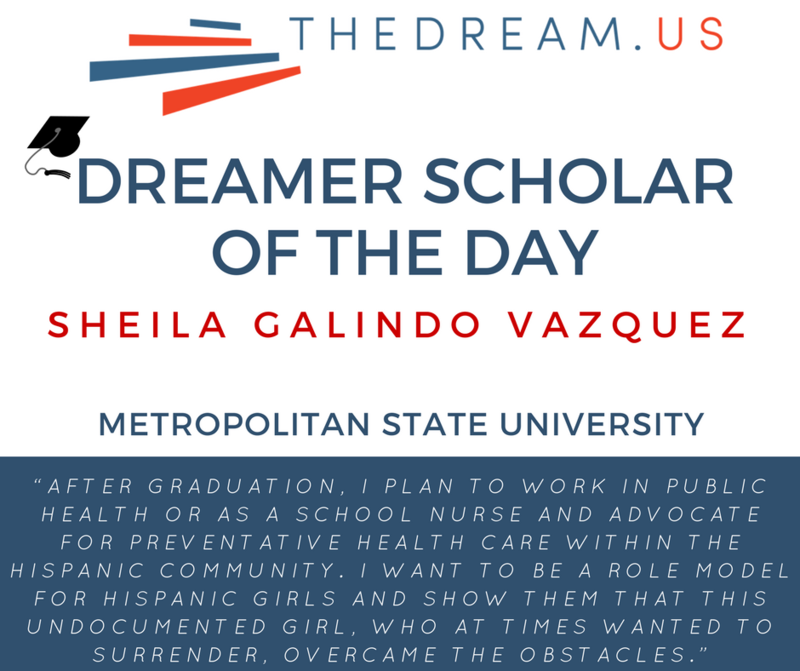 I want to be a role model for Hispanic girls and show them that this undocumented girl, who at times wanted to surrender, overcame the obstacles. It’s extremely important that I remain in the United States to accomplish these goals. I need to prove to myself and to the doubters that the undocumented population makes great impacts in daily life. Education is my key to accomplishing these goals. If DACA is revoked I would be devastated, but it would not stop me from driving, going to school, and finding a new job. Higher education is critical for all DREAMers, because we are an eager, education-hungry, innovative population. We need to expand our mind and we can be great assets to the world.